.Astronomy 9 will be held at the South African Astronomical Observatory located in Cape Town, South Africa from 14-17 November 2017. 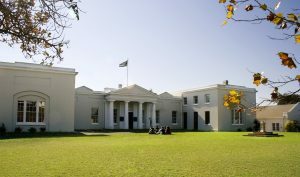 SAAO is located in the Observatory neighborhood of Cape Town with easy access to the city, beaches, and other areas of interest around Cape Town. There are a number of hotels, B&Bs, and Air options within a short distance of the Observatory. We will be providing more details about accommodation arrangements for the conference nearer the time. Cape Town is a major international tourist destination and is often listed as one of the top places to visit in the world. It has a major international airport with daily connections to airports in Europe, the Middle East, and Africa, and has hourly flights from Johannesburg International Airport that has connections to other destinations around the world. Cape Town also has a growing tech community with initiatives like Silicon Cape and a vibrant design community highlighted by recently hosting the World Design Capital.